Researchers at the Spectroscopy Lab have measured the spectral reflectance of hundreds of materials in the lab, and have compiled a spectral library. 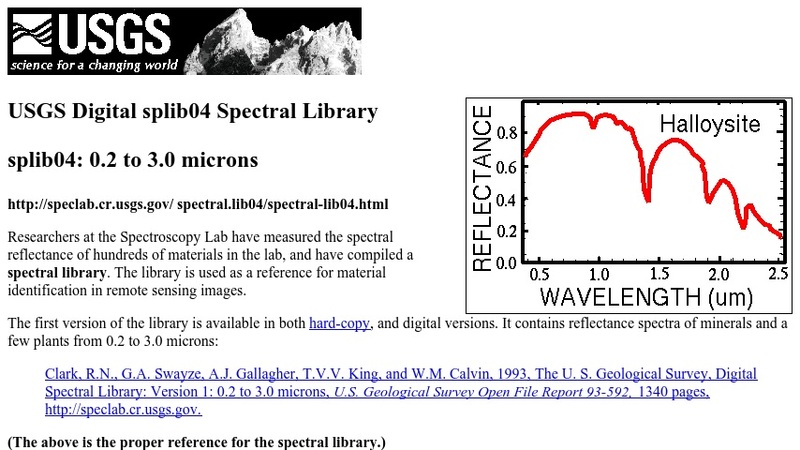 The library is used as a reference for material identification in remote sensing images. Work on the library continues, including the addition of more minerals, mineral mixtures, vegetation, and man-made materials.